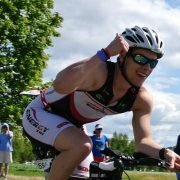 Best triathlon gear with huge discounts. 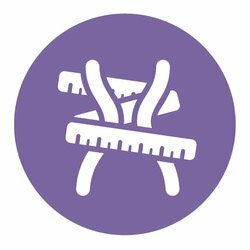 Online store backed by the security of Amazon. ​​I spend far too many hours in the office in front of a computer. When it comes to downtime I love nothing more than heading out for a spin on my bike. This can take the shape of a leisurely spin in the countryside or a high speed training run in preparation for my next triathlon. Whatever plan I have for that particular ride the only thing that will stop me is the weather. Clip you bike into your turbo trainer, fire up the tablet and off you go anyway. Sure, it’s not exactly the same but it does have some serious benefits to your cycling. Indoor bike trainers are awesome and when the weather or short winter nights stop you going outside you still get all the exercise you need to keep the fitness and speed up for race day. 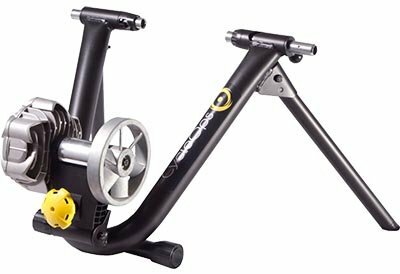 I read a great article some time ago on the Ironman website about the advantages of using an indoor trainer and how it can really help your speed so that got me interested and eventually I invested in my first turbo trainer. I am fairly strong on the bike and it’s my best part of every triathlon race I compete in. I put a lot of this down to off season indoor training. I mentioned the impact of weather as a benefit of using a bike trainer. This is only 1 of many advantages of using one. When I am out on the bike I like to push myself as hard as I can. This helps keep fitness levels up and really gives me a hard workout. I power up hills and freewheel down them again to get a well deserved rest. - On an indoor bike trainer you don't have the luxury of cruising because if you stop pedalling the trainer stops as well. You have to keep up momentum all the time and that provides an even better workout. On a trainer you are free from traffic distractions, other cyclists and weather. You can set yourself goals and really go for them. Plan out a session and introduce plenty of hard sections to push yourself. As mentioned earlier I work hard and put in long hours at the office. More often than not it's too dark when I get home to even consider going out on my tri bike for a spin. This is where the trainer really comes into it's own. I have a spare training bike that is constantly hooked up to the trainer and is ready to go whenever I am. Bike trainers come in a near unlimited amount of styles and features - some great, some too expensive and some, well, just a waste of money. You can spend upwards of $1500 on a trainer if you have that much spare cash lying around. Like everything set yourself a budget first and then go shopping. Try keep to this as there are enough other items on your triathlon shopping list that will be needed on race day! 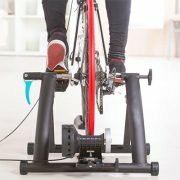 My first trainer was under $100 and worked perfectly for me when I started out. Yes noise definitely is a factor with indoor trainers. I remember 'fondly' back to when my daughter was a baby. I was helping out more around the house so bike time was limited to the indoor trainer, but it was very loud, especially when I was racing at speed. This wont effect everybody reading this but it's something to note when you are choosing a new trainer. One thing you should definitely invest in as part of your indoor kit is a trainer specific bike tire. CycleOps have become the standard when it comes to quality indoor bike trainers. The fluid resistance system lets you really control the ride but keeps the noise levels way down compared to normal mechanical trainers. Designed for racing, triathlon and even mountain bikes, these trainers are exceptional. Currently the best selling trainer on the market! Noise: The Fluid2 is the about the quietest indoor trainer on the market. Because of the fluid resistance setup you don't have the normal grinding sound compared to other cheap trainers. Add a purpose made trainer tire to your bike and this runs about 60bd when under normal load. Build Quality: Made in the USA, the cycleops trainer is superb quality. Manufactured from 2inch round rugged steel it is built to last. Ask anybody who owns one of these and they all say the same. They are a solid unit and give you great support on the bike. Value for Money: While not the cheapest option available they are certainly the best value for money. The unit ships with a dedicated training skewer included and all you need extra is a front wheel block if thats your style. The only other features above this model take you into the expensive computerised range that run well over $1000.